within the general post-war recovery backdrop and in the wake of the law 635 which provided incentives to set up enterprises in economically depressed areas, ceramic tile factories were established in Fiorano Modenese area and thrived at a striking pace. For this reason, in 1961 Giancarlo Ferrari decidesto start his own business with a partner, to produce moulds for tiles and systems for pressing, through a complete vision of the various stages of the production process. In 1973 he constructs a machine that collects raw tiles from presses and loads them on a carriage to convey them into the firingkiln: it is the start of automation. are successful and TecnoFerrari keeps growing and proposing new types of machines, becoming a leader in storage systems over the years. 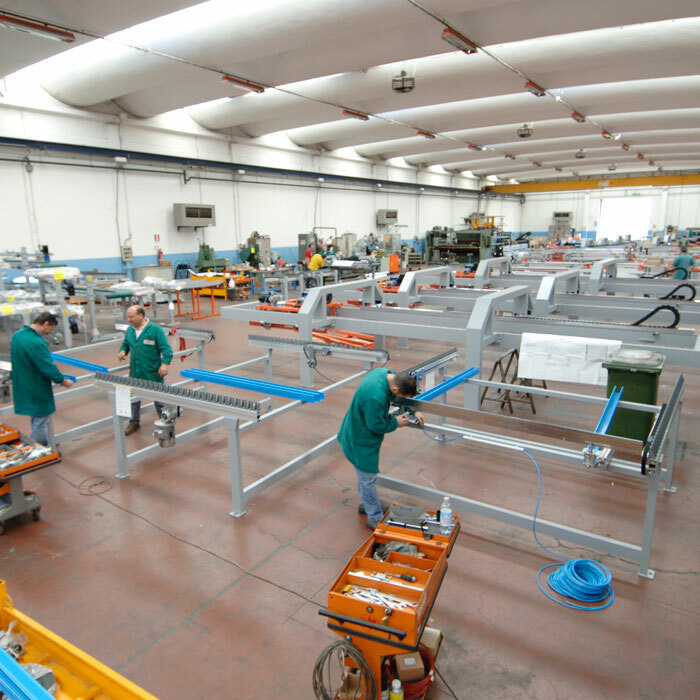 Its activity in an ever-growing sector that offers constant search and investment opportunities allows TecnoFerrari to develop and test innovative solutions. 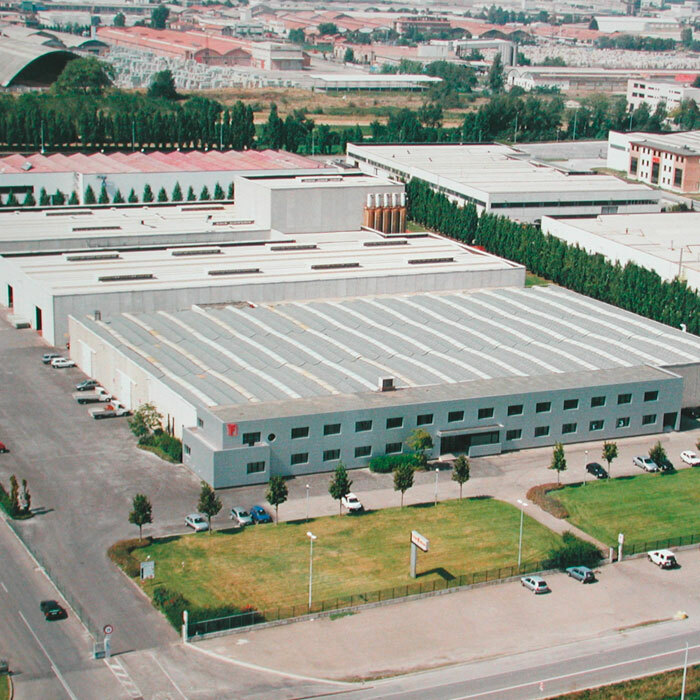 In those years Tecnotilesis established as a real pilot-factory where the innovative systems applied to all the stages of the production process are designed, checked and adjusted, and a revolutionary system for manufacturing tiles is developed: press-glazing, which allows to obtain an extraordinary ceramic product. Such achievement ensures Giancarlo Ferrari a leading role in the history of the industrial and technological development in the ceramic area. 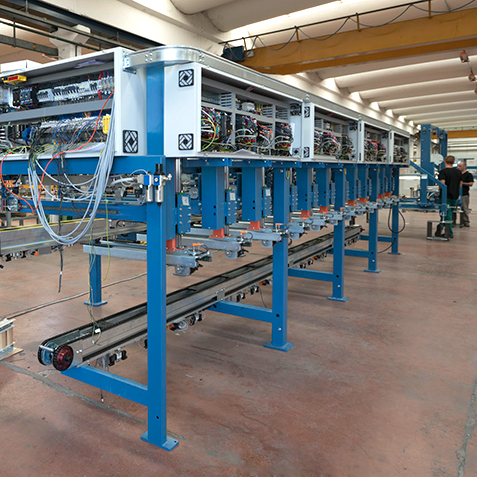 TecnoFerrari has already acquired complete know-how ofporcelain production systems and unique expertise in storage systems.